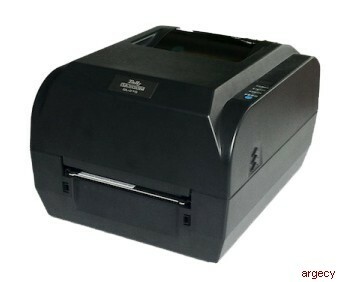 Tally Dascom's DL-210 is a thermal label printer which offers compatibility with major brand products. The user friendly design of the printer allows ribbon length up to 300 meters (980 feet) and roll paper core diameter up to 127cm (which provides for fewer operator interventions. The DL-210 is designed with a unique paper tearing blade providing for a tear off in either the up or down motion, whichever is preferred by the operator. The DL-210 also provides an adjustable black mark detection sensor, that can adapt to the various black mark using media available. In addition to wired and wireless interfaces, the DL-210 also can be configured with a variety of optional accessories, making it appropriate for use in many vertical industries, including logistics, hospitality, food service and healthcare.